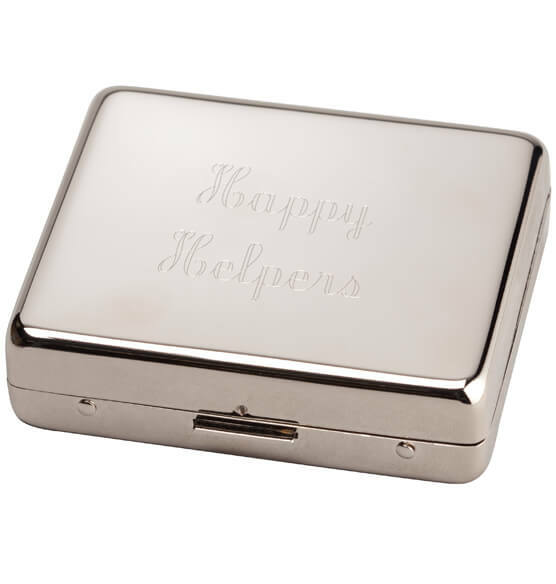 Express your personal style with this personalized metallic pill box. 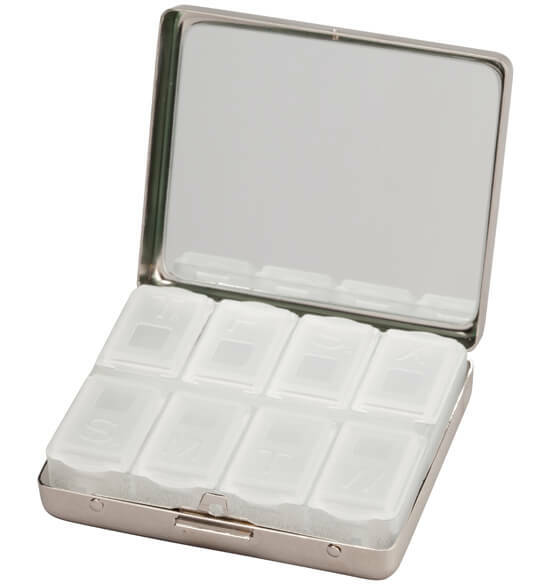 The shiny nickel-plated lid opens to reveal daily pill compartments inside. Ideal for keeping on a dresser or for travel. 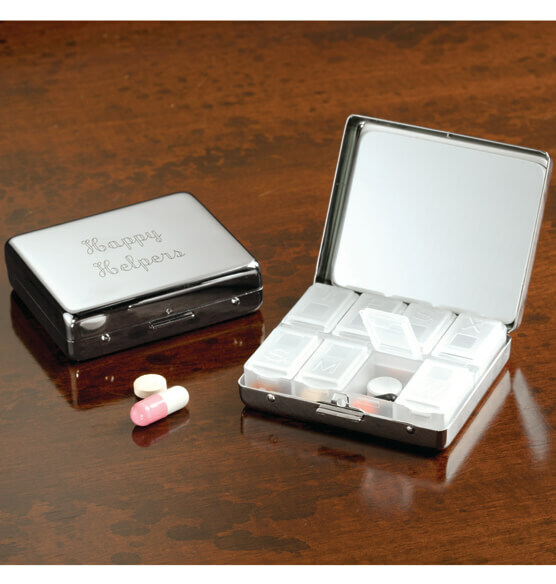 Personalize the pill organizer's lid to make a unique gift idea. I can leave it on the table to remind me to take a med 'with dinner'. Looks better than a Rx bottle. Is personalization with a first and last name free? BEST ANSWER: Thank you for your question. The personalization is is included in the cost of the item. We hope this information will be of help to you.